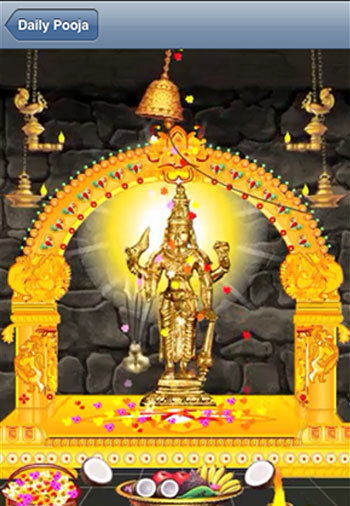 Now you can have access to poojas performing in the palm of your hand for free. 9 planetary poojas are available for you to connect to any time of day. They are the Sun, the Moon, Mars, Mercury, Jupiter, Venus, Saturn, Rahu and Ketu. 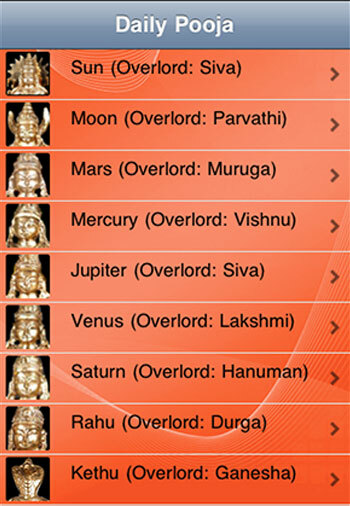 Each of the planets have a man associated with them is also part of the pooja. The gentlemen are Siva, Parvati, Muruga, Vishnu, Hanuman, Durga and Ganesha. Pooja is sacred practices that is represented in different occasions for worship, prayer or show your respect for God. 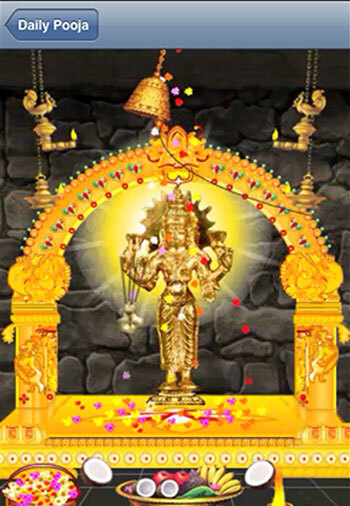 To better explain, Pooja is an act of showing reverence to the Almighty through invocations, prayers (like mantras, slokas), songs, rituals, etc. Praise God through polkas helps to establish a spiritual connection between the deity and the devotee. 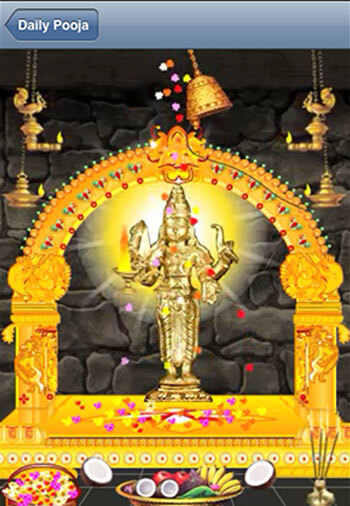 During a Pooja, various rituals are performed on, in order to trigger a number of positive energies and also to develop the right feeling for the Pooja. Poojas are an ancient form of pleasing God, derived from the "Vedic science." A Pooja can help you get well, recalls the relationship, finding a soul mate, bear children and can even eliminate bad karma or negative aspects in a horoscope or Vastu. An essential part of the Pooja is the spiritual connection with the divine craft devotee. More often that contact is made possible through an external object: a facet of nature, a figurine, a glass, a picture of God, and so on. It is a standalone application. After you have completed the initial installation, the application does not require a data connection to retrieve the information.